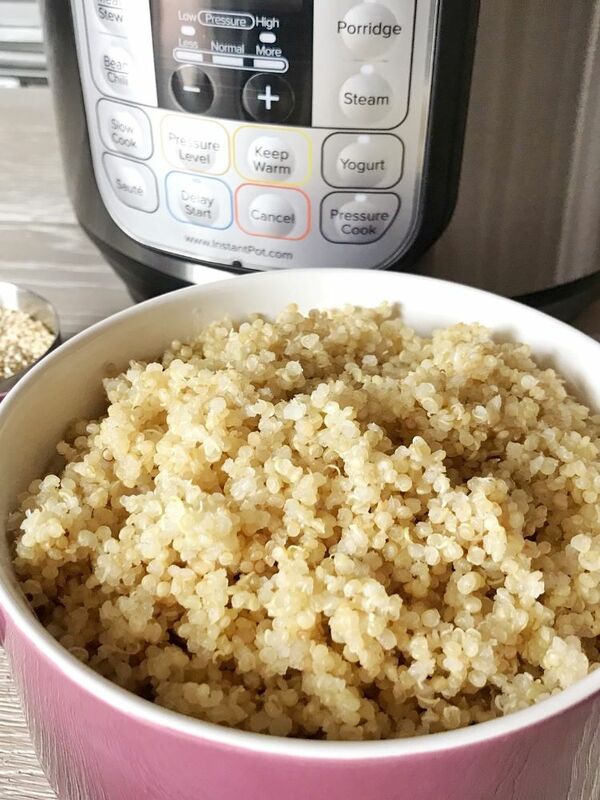 Make perfectly cooked Instant Pot quinoa in just one minute. Fast and easy. The Instant Pot is clearly one of my favourite appliances. It has made making dinner for the family easier, especially when time is limited. From lasagna to ribs, it’s been great to make almost anything. It’s nice to just dump things in and walk away and get other things done. Quinoa is a whole grain which we have tried to incorporate in our meals. Quinoa is a great substitute for rice but also perfect in salads and chili. 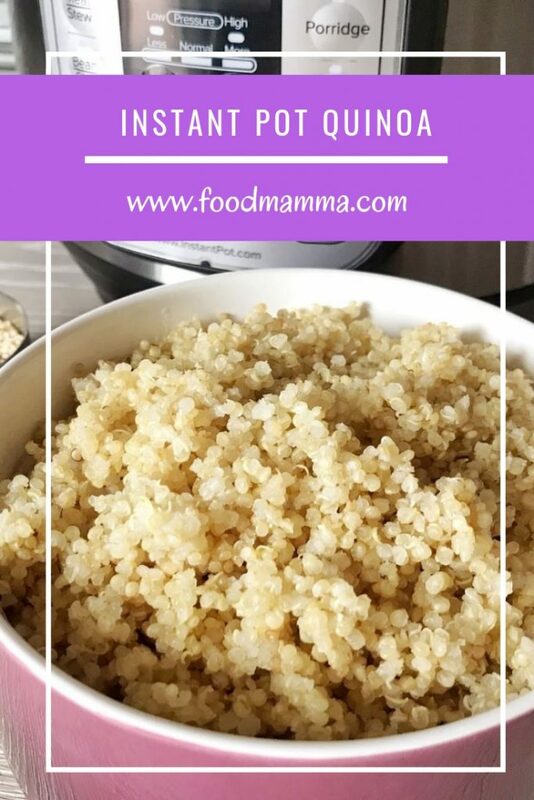 I have loved how quick and easy it has been to make quinoa in the Instant Pot. Just give the quinoa a rinse, add in the same amount of water and set the pressure for one minute. No babysitting boiling water on the stove. Place rinsed quinoa into the liner of the Instant Pot and add the water and salt. Put the valve to sealing and set the Instant Pot to Pressure for 1 minute.